Family Magazine » Nearly 70% of People Turning 65 Will Require Three Years of Home Care? Nearly 70% of People Turning 65 Will Require Three Years of Home Care? It is difficult to forget the frustration you felt that Saturday morning in July. When you told our dad you would drive 75 miles and join him at the 40th Annual Antique Tractor Exposition and Flea Market, he was thrilled. His other plans had fallen through. Not surprisingly, when you are 84-years old you do not always have a large crop of friends and relatives who want to join you on these weekend excursions. One friend was in bed letting the medicine from the latest epidural shot take effect and give him relief from his back pain. Another younger companion had commitments that he had made to his wife and her family and was out of town for the weekend. Not to be deterred, your father said he was still planning to attend the event that he had not missed once in the last 15 years. And while he said that he would just head out on his own, you instead indicated that you would meet him. Dad: I will get their at 8:00 am. I will have my cell phone. Daughter: Sounds good. I will see you then. Knowing for a fact that her father would arrive sooner than the 8:00 am time, the daughter made sure that she arrived by 7:30 am. As she walked into the large event, however, she noticed that her father has one of the parking spots in the entire area, a good 50 or 60 cars between where she parked and where she spotted her dad’s truck. Thinking nothing of his earlier arrival, she entered, paid her admittance fee, walked toward the flea market side of the event, and called her father. Interestingly enough, his phone immediately responded with the automated reply, “We’re sorry this caller is not available. Please try again.” After several attempts, however, she realized that her father had either left his phone at home or had forgotten to turn it on. Finding a good place to sit, she simply decided to stay in one place in hopes that one of the hundreds of old farmer types wandering up and down the flea market rows would turn out to be her father. Nor surprising, many of the attendees were dressed exactly the same: dark jeans, short sleeve t-shirts, and a trucker hat protecting their faces from the sun. Not even the fact that her dad had completely grey, nearly white hair made it any easier to so=pot him. Turns out this was a fairly common hair color among the Saturday morning crowd. After a fairly patient 40 minutes, the daughter finally spotted her Dad. Luckily, he was wearing a bright royal blue t-shirt that she had recently given him for Father’s Day. When she approached him, his greeting caught her off guard. Dad: There you are. I thought you were going to be here by 8:00. Daughter: Dad, I actually got here closer to 7:30, but you did not answer your phone. Dad: Oh yeah. I have it turned it off because I forgot my charger at home and it was almost dead. I knew that you would find me. I just thought you said you would make it by 8:00. I am more than half way to the flea market by now. Looking back on that somewhat frustrating flea market and antique tractor exposition morning, the daughter wished that the search she was on now was as easy as finding her Dad among a growing crowd of older farmers. Today, instead of looking for her Dad because he had forgotten his phone, she was in search of in home care options for her Dad. It has been almost five years since he has been able to drive himself to his favorite events, and it is looking more and more like he will not be able to stay in his house if you cannot locate in home care for him. You have spent the last five weeks exploring local in home care options, but have not yet found something that will work. 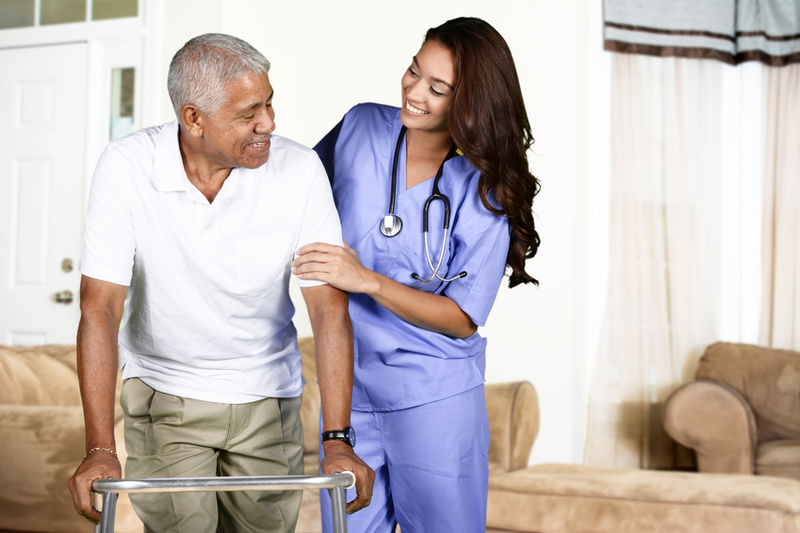 It takes both patience and time to find senior home care services. And while there are many senior housing opportunities, a growing number of adults want to stay in their own homes.